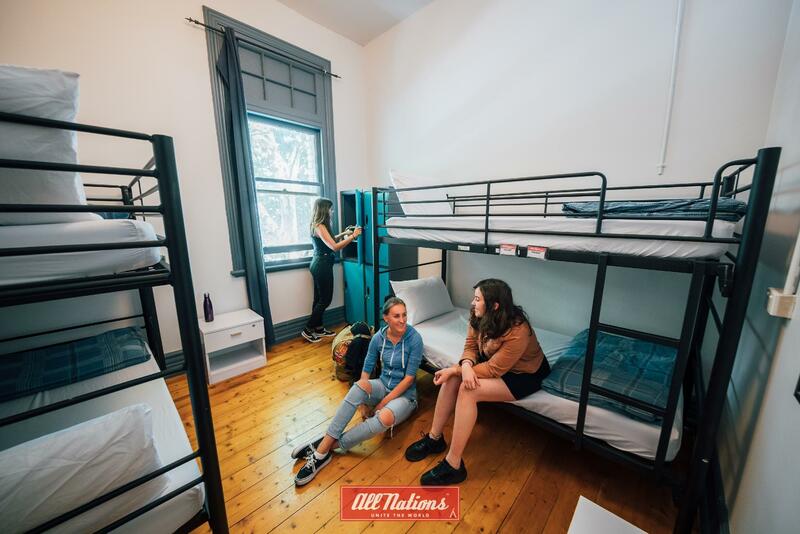 يشكل فندق All Nations Backpackers Melbourne بموقعه الممتاز في منطقة سياحة, تسوق, مطاعم ضمن المدينة، مكاناً ملائماً لقضاء العطلة بعيداً عن عجقة أيام العمل. يمكن من هنا للضيوف الاستمتاع بسهولة الوصول إلى كل ما تقدمه هذه المدينة النابضة بالحياة. كما يمكن الوصول بسهولة إلى عدة معالم سياحية قريبة. ببساطة كل الخدمات وأساليب الضيافة التي تشتهر بها Base Backpackers تجعلك تشعر وكأنك في بيتك. يقدم العقار مكتب الاستقبال على مدار الساعة, تخزين الأمتعة, واي فاي في المناطق العامة, جولات, خدمة غسيل الملابس لضمان الراحة القصوى لضيوفه. تعكس غرف الفندق البالغ عددها 64 المنتشرة في 3 طوابق جواً من الدفء والألفة.خدمات عصرية مثل سجاد, قهوة فورية مجانية, شاي مجاني, بياضات, كاشف دخان موجودة في بعض الغرف المختارة. يمكنك الاستمتاع بالأجواء المريحة التي تقدمها بلياردو, غرفة ألعاب طوال النهار. 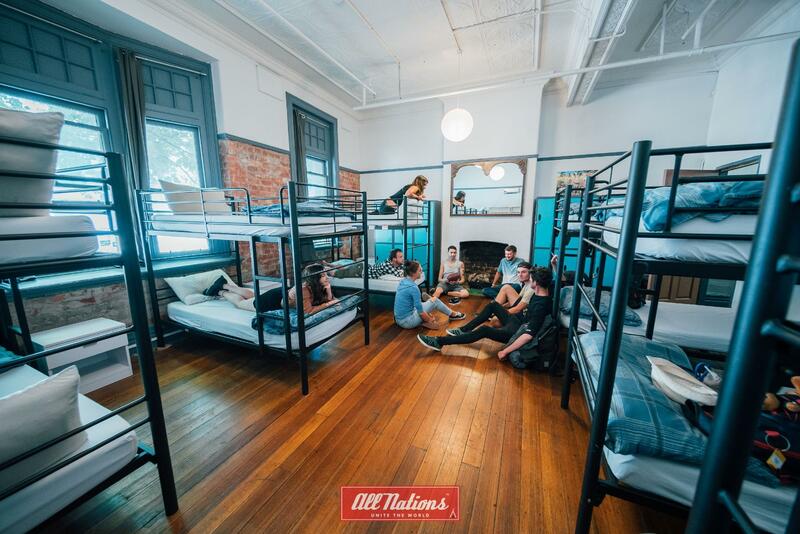 اكتشف مزيجاً ساحراً من الخدمة الاحترافية والخيارات الواسعة من وسائل الراحة والمتعة في All Nations Backpackers Melbourne. Positive; - spacious dorms - helpful staff (i wasn't happy with my room at check-in, but both the girl & guy at reception were extremely helpful and considerate and now i am happy) - good location - free pancakes / rice / pasta / tea - kitchen is cleaned a few times during the day, even during dinner time when lazy backpackers don't clean their own stuff - lots of bathrooms Improvement points; - rooms are rediculously hot without a/c and limited amount of fans - lots of noise from trains, earplugs will do though - wifi is very... australian haha Thanks! Thanks for the review! Your comments are really pleasing that our hard work is paying off. Thank so much! 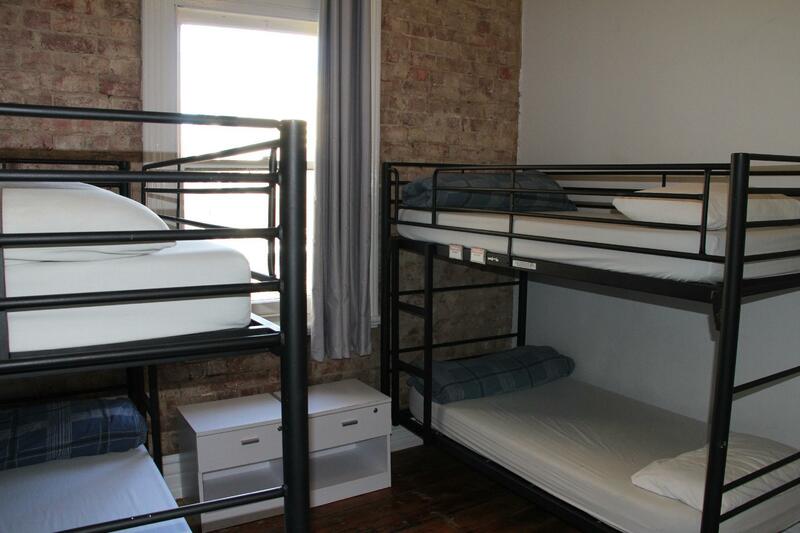 Location is great, close to Southern Cross Station. Definitely good for those who are in transit. High ceiling. Public shower facilities are fine. No lift at the hostel, need to carry bagged up to third floor. Hygiene for bedsheet is not desired. Number of Power socket is not enough in room for three persons. Though with WiFi password, cannot connect to internet. Though we stayed at 3/F, can still heat the noise from bar at G/F. The property itself isn’t flash but the staff make up for whatever the place lacks in appearance. Shout out to Stu, the queen of hospitality, you are the best, thanks for being a huge help. 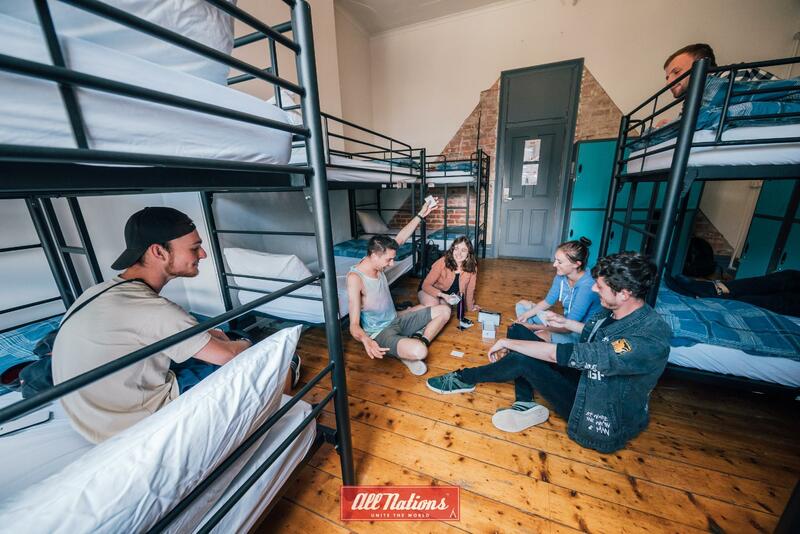 Rooms are spacious, kitchen area is good for solo travellers to meet people, plus the little bar attached to the hostel is good fun. The hotel location was closer to Route 36 free tram service. Unfortunately, our twin room was too noisy for the train in every certain moment. It was very bad for us. But you liked parties and could enjoy. They didn't change bed sheet, I asked the girl at reception to change it, she pretended didn't understand. I have to talk to another tall young male receptionist, he was very helpful and came to change it quickly. Breakfast Pancake needed to queue in line to wait for one guy to cook and it was really slow. Not good. 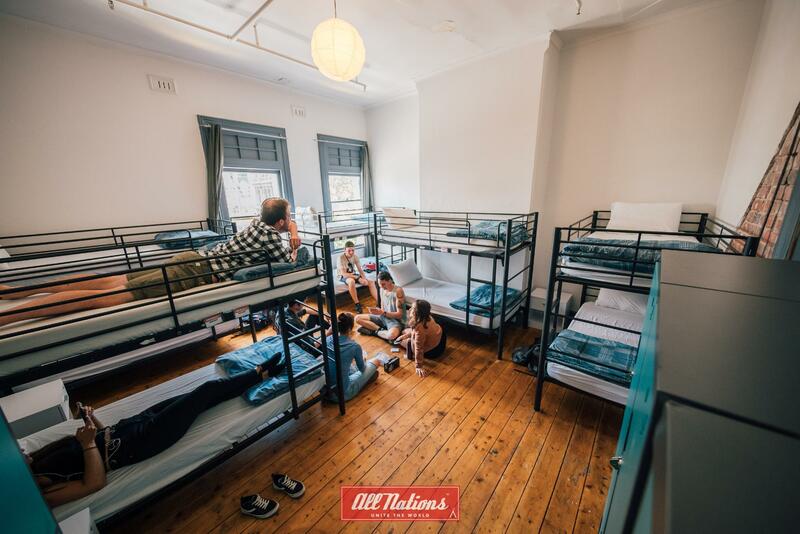 The room and bathroom are clean and the hostel is in good location. The staffs are friendly. The rooms are a bit old and the bathroom is shared with both males and females. It will be a concern for certain people. Also the room ventilation is not good enough that we had to open the windows instead. The fan in the room is not working. No free wifi in rooms which is very inconvenient. Me and my group of friends had a really bad experience at this hostel. It's really dirty, has lot of mices at the kitchen and the rooms! They throw out food bags without even asking, they have really bad treatment at the reception. We wouldn't recommend this place at all. At a very convenient location. Close to everything and has Wi-Fi in the morning. But the guy over the counter downstairs (where you get the Wi-Fi password) where really rude to my boyfriend when he tried to ask for the password. He was being racist, saying "We don't give Wi-Fi passwords to Asians!" Not a very friendly place for Asians but other than that everything was perfect. 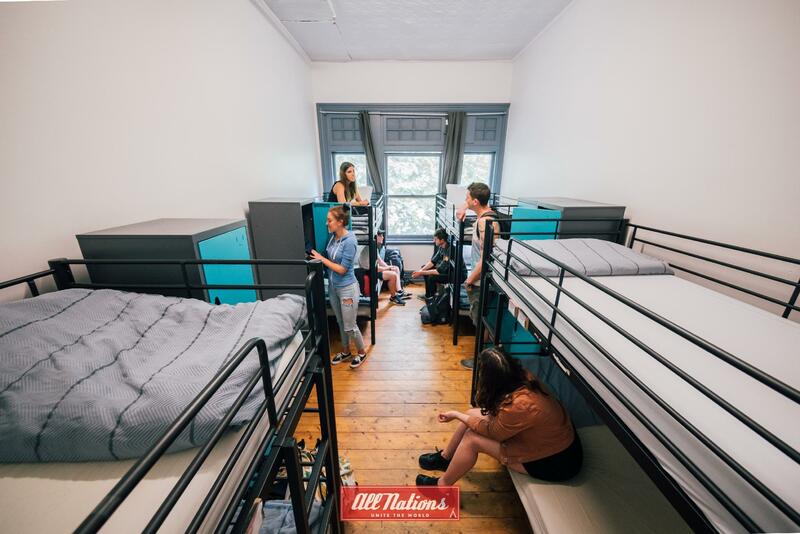 The location of this hostel is just in front of a tram station, which is both good and bad. Good for accessibility but bad since the trams and trains can still be heard even later in the night. Staff were very accommodating. Cozy blanket was also provided. There were a good number of toilet and shower cubicles. However, the room that I've been in had rats. Another negative for me was a long-staying room mate who snored very loud and laughed aloud while reading something. I know this was out of the hotel's control, but it was part of my bad experience.. 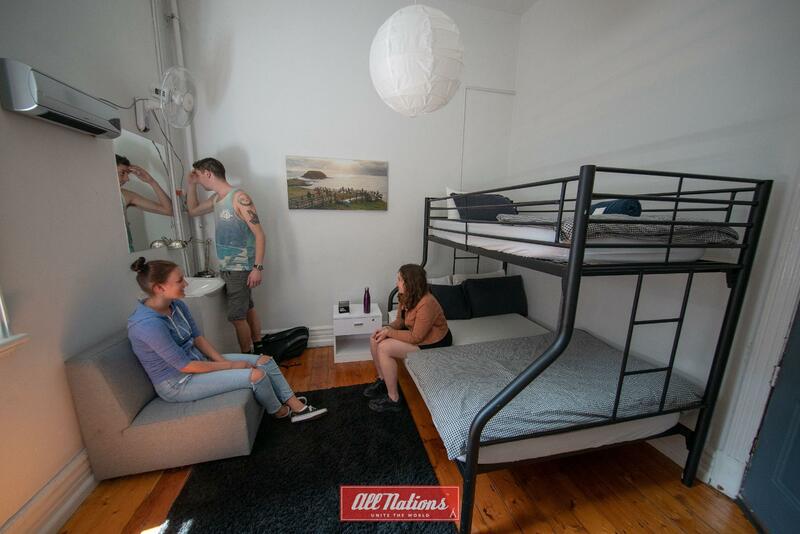 I might check out a different hostel along Flinder's next time. I stayed at this hostel for 3 nights and on my 3rd night me and another roommate saw a mice in the dorm. I went to reception to inform them and they didn’t do a thing. They were so blasé about it as if they were pets. Clearly this is an ongoing problem which doesn’t feel as though it’s going to be sorted anytime soon. If they want to stay operating under these conditions they should at least inform the guests and leave it up to ourselves to then choose to stay there. After that I didn’t want to leave any of my belongings in the room and i just didn’t feel very comfortable knowing they were rhodents running around. Apart from the location I really wouldn’t recommend this hostel. The bathroom and kitchen facilities were ok, not the cleanest but you can make do with them. 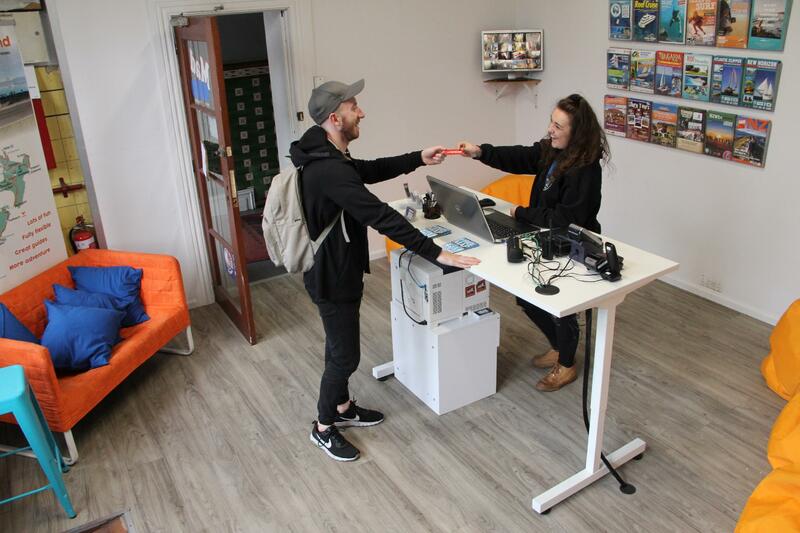 guests are required to download an app for check in & the app asks their users to take a photo of their passport (in other words 'scan' their passport), the photo will be saved in the app & only then guests can check in. I felt a bit insecure about this check-in process and sharing the 'scan' of my passport details Wifi is limited, available from 7am-7pm within the dining area. Luckily, the city council provides free wifi. No fan in the dorm, not sure if dorm had a/c, so I had to sleep through the summer heat. Bed was OK Hostel provides free coffee / tea, pasta/rice/spaghetti.